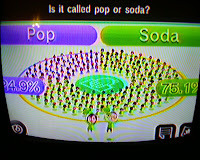 Everybody Votes Channel: National Poll: Is it Called Pop or Soda? 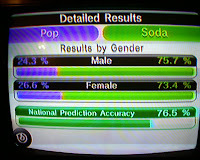 This was a poll that I was always hoping would come up. I had even submitted it to Nintendo. What I find most interesting is how this justifies the evolution of my own language. I grew up calling it "pop" but now (especially after having moved to an area that is heavily influenced by the Spanish language) I call it "soda". 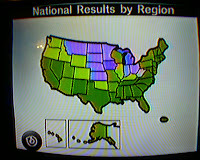 This is reflected in the National Results by Region.